Keep baby dry and comfortable with Huggies Snug and Dry Diapers. They're a convenient option for busy parents and caregivers as they feature Leak Lock protection that absorbs quickly to help prevent accidents. With up to a 12-hour protection, they're a good solution for night time. The long-term protection means babies will use fewer diapers overall, making these 12-hour diapers a cost-effective choice. Clothing and bedding is also protected, which means less laundry for caregivers. The gap-free fit keeps little ones dry and comfortable through all their daily adventures. Their material conforms to a child's individual body shape, so they move as kids move for enhanced protection, even during active play and movement. An adorable Mickey Mouse graphic lends a sense of fun. 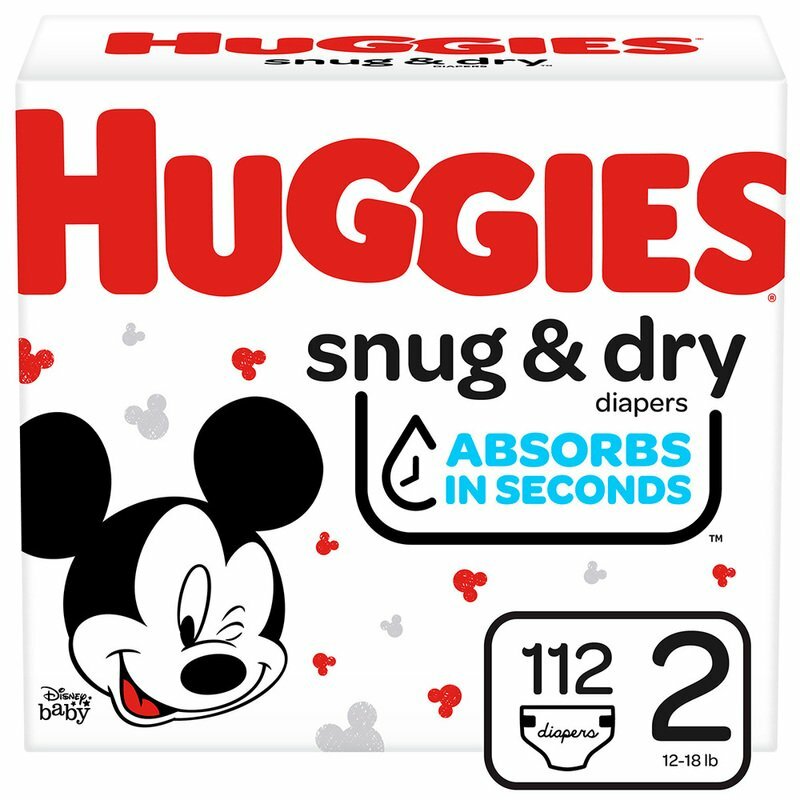 These Huggies baby diapers comes in a Super Pack. Size 2 (140 count) for 12-18 lbs.